Air leaks into the home – air leaks cause your house to be uncomfortable and inefficient. But where do the leaks come from? 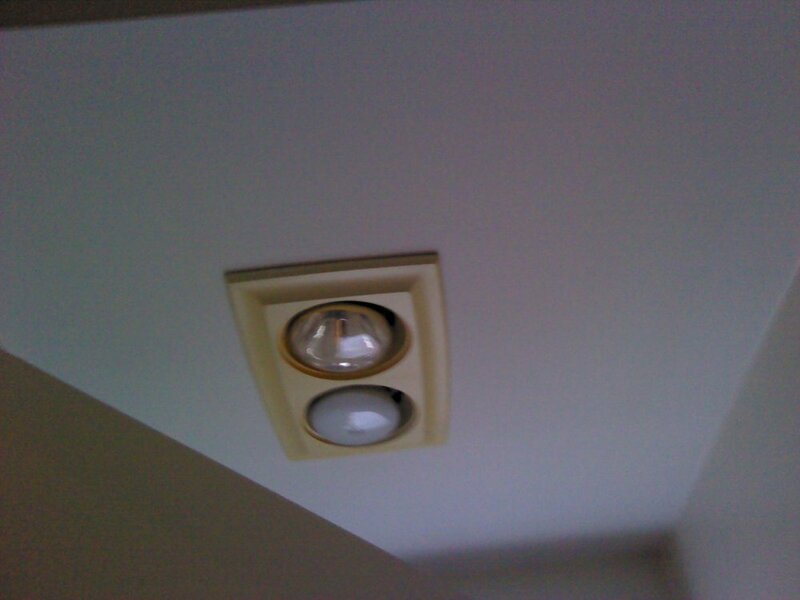 To know for certain, you need an Energy Audit. We scientifically measure how leaky tight your home is with a blower door test, among other other tests listed below. The Department of Energy explains the Energy Audit in the video to the right. 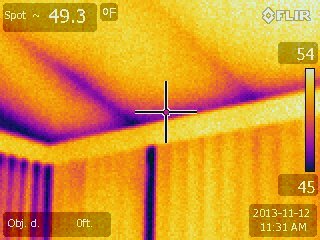 Using an infrared camera, we can now see where all the leaky parts of your home are – which you can’t do with the naked eye. 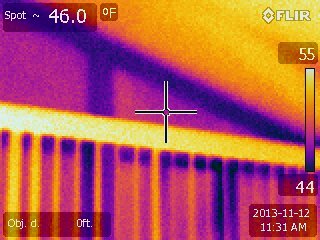 Here is a sample of some thermal images - blue is cold, yellow is warm. We test combustion appliances to confirm carbon monoxide does not linger in the home, make sure bath fans vent to the outside to avoid mold or moisture problems, and check that insulation is at least 3 inches away from your recessed lights to prevent fire hazards – as well as other tests. After the Energy Audit, we provide you with an audit report and an estimate. The audit report details the good and the bad of your home’s energy efficiency – but is most importantly provided with a third party mindset. Your audit report will reflect your home as if any certified auditor were in your home. Then since we've been in your home, we understand where the problem areas are, and what needs to be fixed. This makes it very easy for us to create an estimate to fix your home’s problem areas. The estimate lists out the most energy efficient work first, followed by all the other recommendations to solve your comfort, efficiency, and safety issues. You can do all, some, or none of the work. We aim to be flexible, and are proud to stand by our no pressure sales philosophy. At any point in this process, we are more than glad to get you in contact with several of our satisfied customers, introduce you to our crew, or even give you a tour of our facilities. Our casa es su casa – figuratively, because it’s office/warehouse, not a home. If we’re fortunate enough to have your business, we’ll complete the work you selected – and leave your home exactly as we found it – except more comfortable, energy efficient, and safer. Great rebates and financing are available - click here for more information. Schedule an Energy Audit or get a free energy consultation.